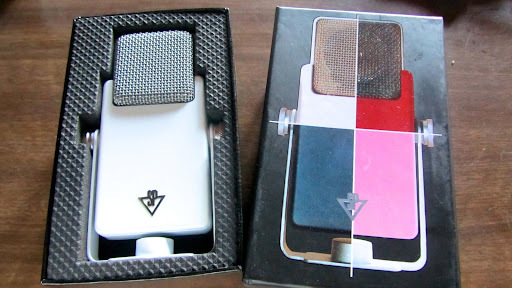 My Little Square Microphone arrived this morning and it's so cute. They come in four colours, and I was tempted by pink, but the white goes with everything else so nicely. 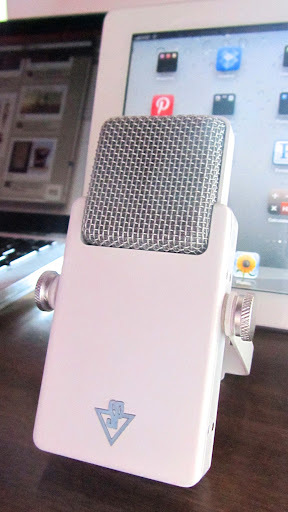 It works with the iPad and will be perfect for recording podcasts and music. 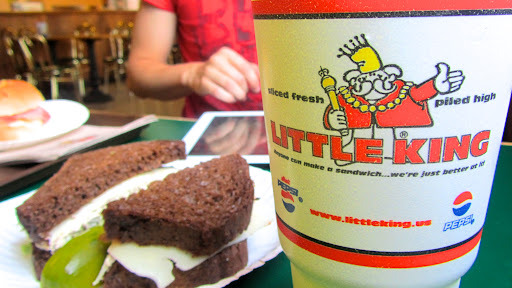 We went for lunch at Little King which was surpringly good. 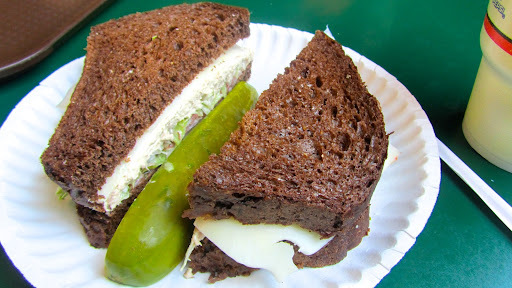 I had a tuna sandwich on dark rye, which looked like chocolate bread. 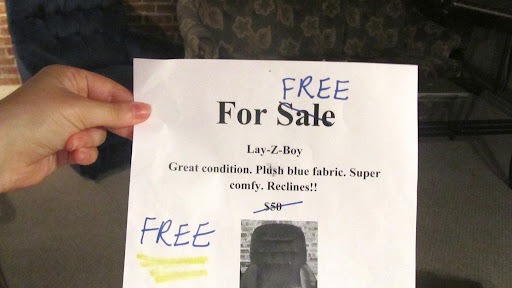 When we got back to the lofts, a bunch of furniture was going free and we ended up with a new sofa, glass coffee table and Lay-Z-Boy arm chair. Tom thought that if they made mobility chair conversion kits, he'd never leave the chair.